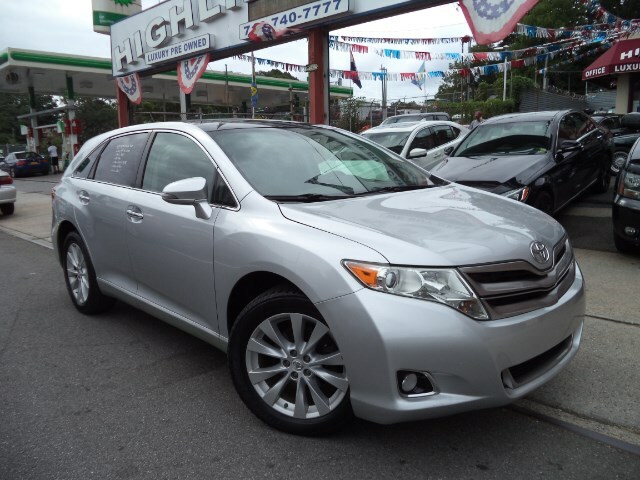 Used 2013 Toyota Venza XLE I4 AWD for Sale in Queens Village NY 11427 Highline Motor Sales Corp.
IMMACULATE CONDITION!! LOADED UP!! NAVIGATION!! BACK UP CAMERA!! AWD!! PANO ROOF!! HEATED SEATS!! AT HIGHLINE MOTORS WE ARE SETTING THE STANDARD FOR YOUR NEXT VEHICLE PURCHASE! OUR VEHICLES ARE IN IMMACULATE CONDITION INSIDE AND OUT. WE DO NOT CHARGE ANY BOGUS FEES OR HIDDEN CHARGES!!! FINANCING IS AVAILABLE AND THE PRICE DOES NOT GO UP WHETHER YOUR VEHICLE IS PURCHASED CASH OR WITH ONE OF OUR MANY BANKS. WE SPECIALIZE IN MAKING YOUR VEHICLE PURCHASE CONVENIENT AND HASSEL FREE. WE ARE A FAMILY RUN DEALERSHIP FOR MORE THEN 10 YEARS AT THIS LOCATION AND WITH OVER 60 YEARS OF AUTO INDUSTRY EXPIERENCE. OUR FRIENDLY STAFF SPEAKS SERVERAL LANGUAGES TO ASSIST OUR CLIENTS NEEDS. WE HAVE ACCESS TO THOUSANDS OF VEHICLES ACCROSS THE COUNTRY AND CAN FACILITATE ANY CUSTOMERS REQUEST. Visit our website http://www.highlinemotorsales.com for more information and photos on this or any of our other vehicles. Feel free to call us today so we may answer any questions you may have and to set up an appointment. Please call in advance to set up for a test drive at 718-740-7777.